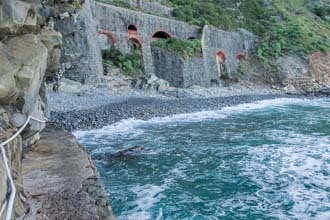 The main tourist beach of the Cinque Terre is in Monterosso. It is the only beach with sand and deckchairs. 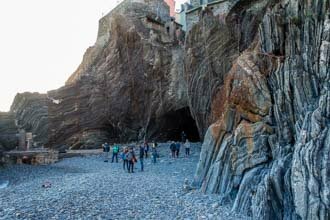 There are other sandy beaches but they are located nearby in the villages of Levanto and Bonassola, just a couple of minutes by train from Cinque Terre. 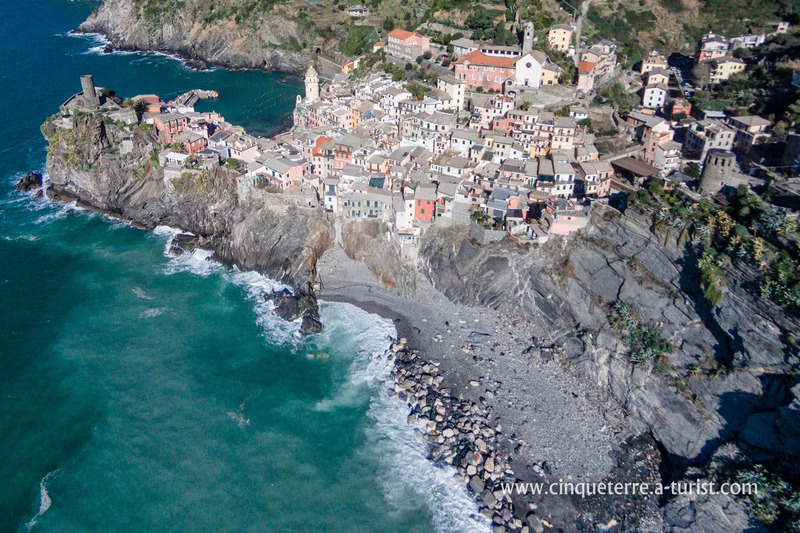 If you love the sea and want to stay in the Cinque Terre, book a hotel in Monterosso. This is the largest village, it is flat (no steps), and there are vast sandy beaches here. Furthermore, the greatest number of bars that stay open until late are to be found here. In Manarola, instead, you can't swim. There is no beach in this village, not even a tiny one. The whole coastline is a sequence of rocky slopes. All you can do here is sit on a bench near the water and rest. 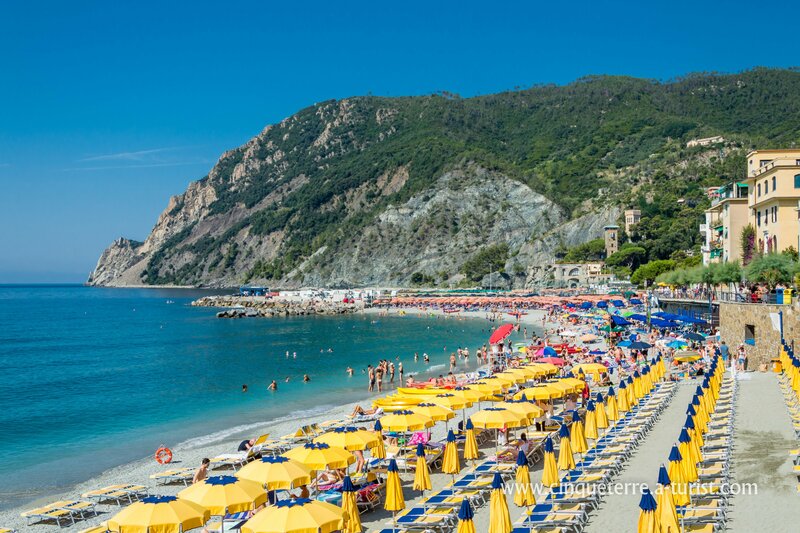 In Monterosso there are fantastic large beaches with all comforts. You can rent a sun lounge for 7 €/day (or 5 € for a half day); two chairs and a sun umbrella will cost you a maximum of 25 €/day (or 15 € maximum for a half day). In high season rates may increase. 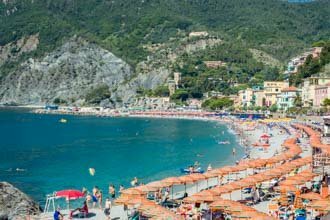 The free beaches are located opposite the railway station in Monterosso, near the statue of Neptune and close to the historical center. 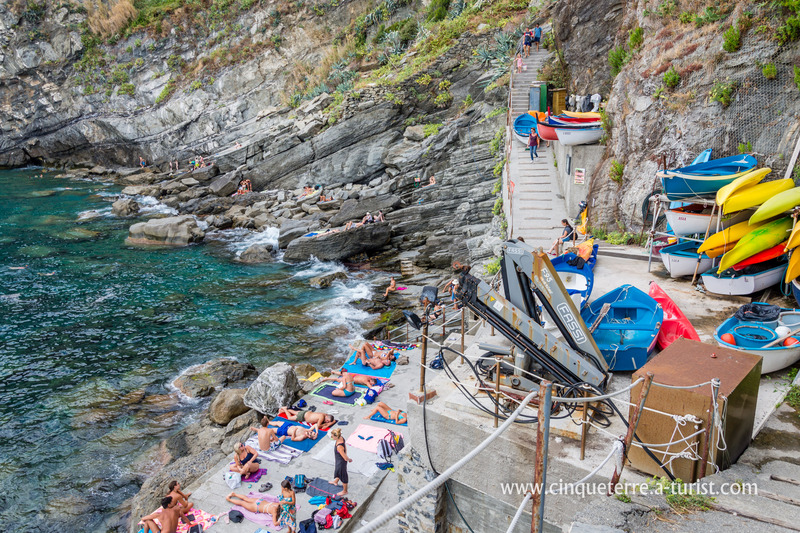 The small and welcoming beach of Vernazza is ideal for a short rest. There is no sand here. After you have toured the Cinque Terre it is a good idea to go to this beach and spend a couple of hours there. To reach it you must pass under the cliff face, after turning off from the main street of Vernazza. As you stroll around Vernazza you will certainly find this passage-way. 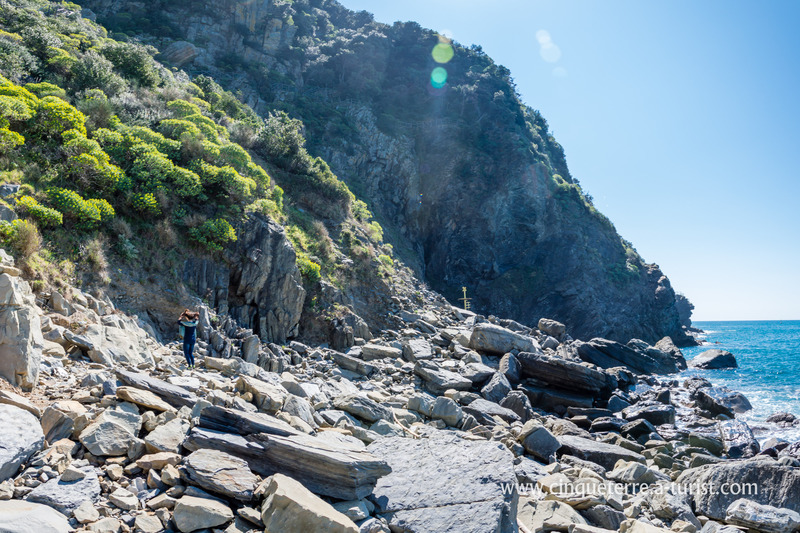 Getting to the wild beach of Corniglia where the sea, nature and the pristine local beauty await you is not so simple! 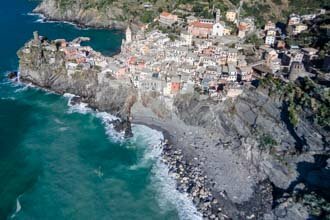 Corniglia is not located on the coast but at the top of a cliff. 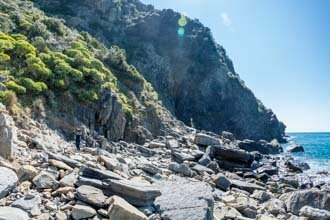 343 steps of a long staircase lead to this wild beach, but the determined tourist will be rewarded! 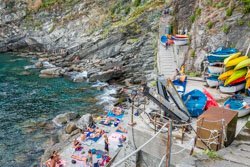 Previously, in Corniglia, you could sunbathe at the nudist beach of "Guvano", but it was closed in 2016. The beach of Riomaggiore is gravelly and very welcoming, sometimes even deserted. For this reason, it is the ideal place for a quiet romantic holiday! Head to the fishermen's quarter in Riomaggiore and then walk around the cliff, past the little port.